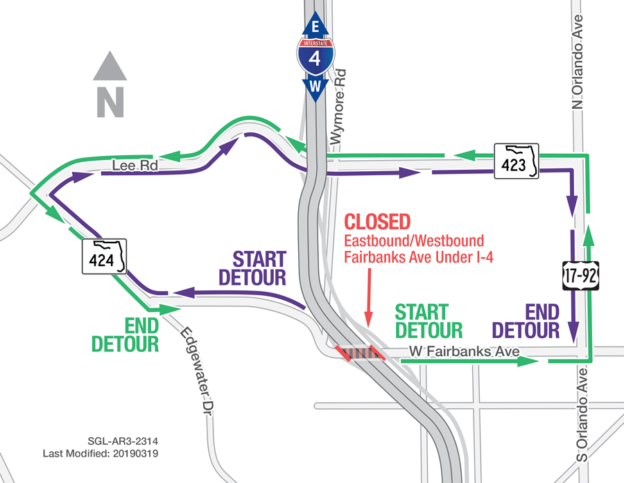 The Florida Department of Transportation (FDOT) is temporarily closing eastbound and westbound Fairbanks Avenue under Interstate 4 (I-4) for bridge work. Nightly closures are scheduled from 10 p.m. to 5 a.m. the nights of April 15-18. 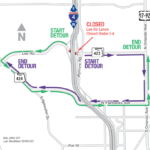 These closures will be followed by a continuous closure of Fairbanks Avenue under I-4 beginning as soon as 10 p.m. on Friday, April 19, and ending at 5 a.m. on Monday, April 22. 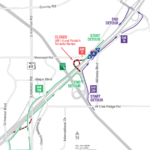 Motorists traveling westbound on Fairbanks Avenue will turn right onto Edgewater Drive, turn right onto Lee Road (State Road 423), turn right onto Orlando Avenue (U.S. Highway 17-92), and continue to the Fairbanks Avenue intersection. Motorists traveling eastbound on Fairbanks Avenue will turn left onto Orlando Avenue (U.S. Highway 17-92), turn left onto Lee Road (State Road 423), turn left onto Edgewater Drive, and turn left onto Fairbanks Avenue. 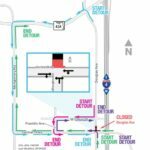 Visit https://fdot.tips/fairbanksclosed for a handout and detour map for this closure.